Nobody could predict such things would happen after PiS won elections. 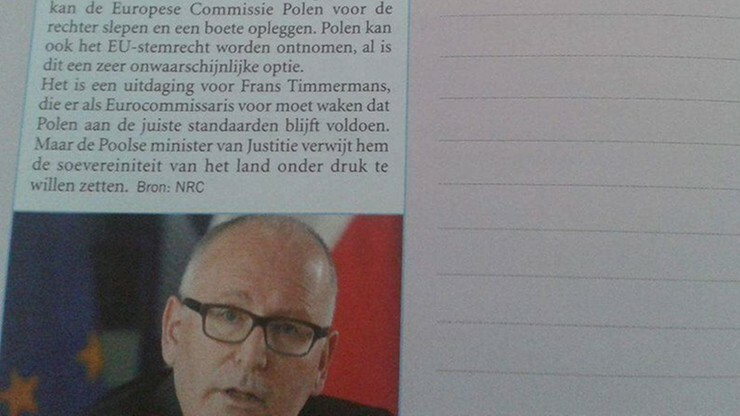 Dutch high school students can learn from their textbooks how PiS government is damaging democracy by attacking Constitutional Tribunal. Bitter comment under the article: "Our country is writing history again."